Mixed Martial Arts, as the name suggests, is a sport that combines the disciplines of different combat sports on one grand fighting stage. Take Muay Thai’s damaging strikes, wrestling’s hardnosed force, and Brazilian jiu-jitsu’s submission savvy, roll it all into one and you get the complete MMA athlete. Putting this idea into practice is easier said than done. It takes guts and a whole lot of grit to become an MMA fighter and Filipino-American Mark Striegl has proven that he has what it takes to be the sport’s next top flight star. 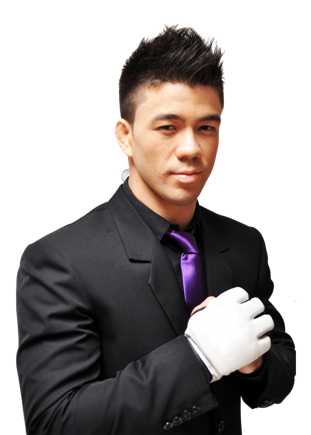 Known for his nickname “Mugen”, Striegl has amassed an impressive career in different international fighting organizations such as Legend FC in Hong Kong, Dare Championships in Thailand, and the Philippines’ own URCC (Universal Reality Combat Championships). He most recently fought for the featherweight title of the PXC (Pacific X-treme Combat) before being beaten, his first in 13 professional fights, by Korean Jang Yong Kim. Striegl assures though that the defeat is just a minor detour on his climb up the MMA mountain. Since then, Striegl has dedicated himself to get back in track to title contention and possibly a shot at signing with top MMA suit UFC (Ultimate Fighting Championships). Staying true to form, Striegl recently earned the gold medal in the under 70-kilogram division of the Freestyle Wrestling event of the PSC-POC Philippine National Games. Considering the conditioning needed to grind through grueling training sessions, Striegl is confident that his excellent fighting skills are well complemented by his ability to stay in impeccable shape. Healthway Medical, with its trusted and most-preferred network of mall-based clinics, supports Striegl on his way to the top by recently making him the company’s newest HealthCheQ ambassadors. Currently in the peak of his career, Striegl needs nothing short of the best support system to stay on his game and to take care of his health and wellbeing. Having been personally helped by Healthway Medical before, during, and after every fight, Striegl gives his full confidence in the HealthCheQ service. With HealthCheQ, Healthway Medical gives Striegl full reign over his wellness with premium executive checkup package anchored on providing holistic healthcare. Besides offering complete diagnostics at all of its multi-specialty outpatient clinics, HealthCheQ clients become CEO’s of their own health by availing of full executive checkup services, including complete laboratory exams, imaging studies, and comprehensive physical evaluation. The package then lets patients continue on their way to wellness with a revitalizing and rejuvenating stay at any of Healthway Medical’s partner destinations in and around the city. Also included among Healthway Medical’s list of healthcare services is Physical Therapy and Rehabilitation Medicine, a comprehensive wellness program specifically designed for athletes, sports enthusiasts, and individuals who need to improve their fitness at home or at work. The program offers modern physical therapy and rehab medicine by combining diagnostics (Electro-Myography Nerve Conduction Velocity and Musculo-skeletal Ultrasound) with safe and efficient treatment methods (Arthroscopy). For more information about the company, visit Healthway Medical clinics at Alabang Town Center, Festival Supermall, Greenbelt 5, Market! Market!, Robinsons Place Manila, Shangri-La Plaza, and SM North Edsa-The Block. Call the Customer Care Hotline (02)751-4929 or visit www.healthway.com.ph. Like Healthway Medical on Facebook. Meanwhile, for details about Mark Striegl, visit his Facebook page at https://www.facebook.com/markmugen.